Eatiful: Aoyama Cafe: Japanese, Kind of? I've been to this restaurant twice, once when it first opened and once recently. I only remember eating the parfait the first time I was there, it was a typical dessert with lots of cream. This time I came for dinner. 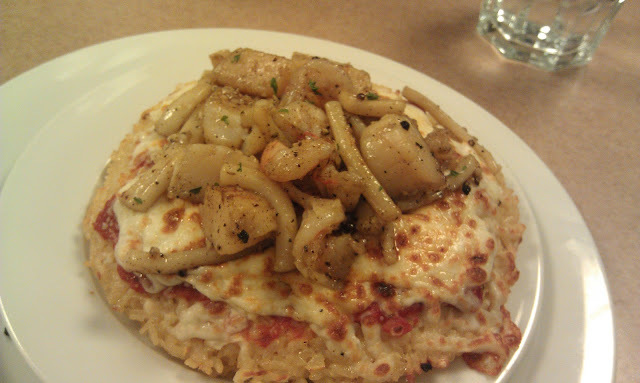 This is what I ordered: Seafood Rice Pizza. It's a cool concept, basically it consists of a crust made of rice that I assume is cooked then pan fried until solid. Seafood like squid, scallop and shrimp are baked on top of the rice crust with cheese and tomato paste. The first bite was pretty good since it's a fun idea. Then it gets progressively less tasty because the rice turns cold quickly and the crust just becomes this hard cracker. It is very filling despite its small size. 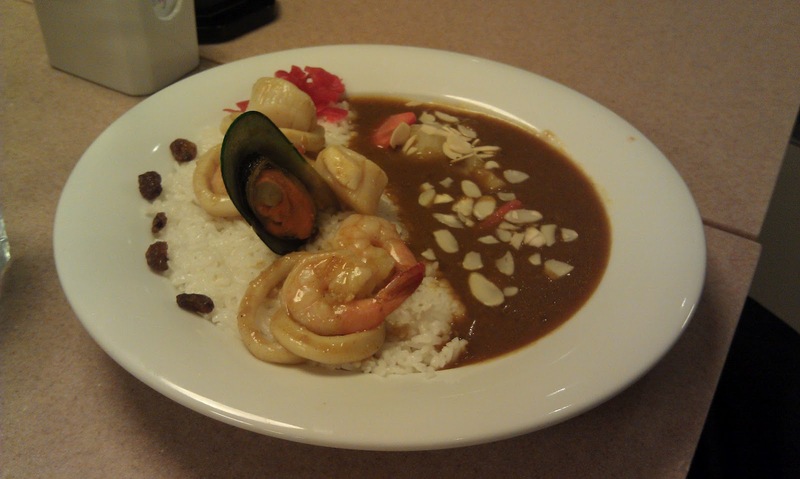 What friends ordered: Seafood curry rice, she said it was only all right. Again the dish became cold quite quickly. 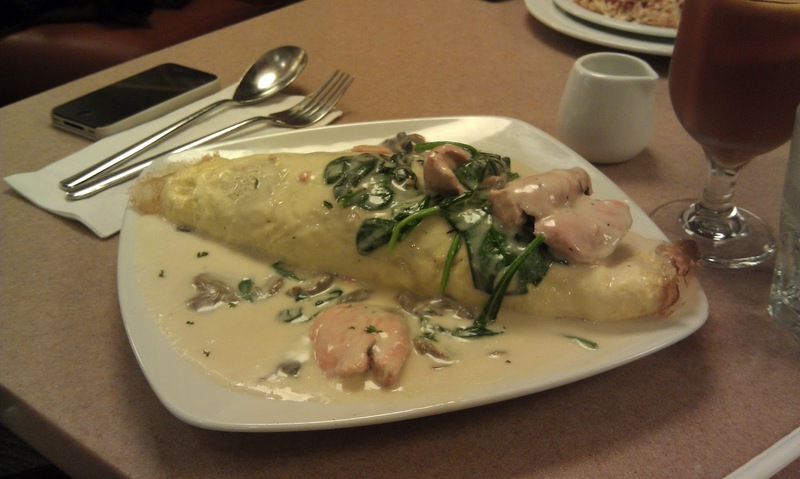 Salmon Omuri: Inside the egg omlette is curry rice and LOTS of sauce poured on top. Rice became a little soggy because of that. Overall, the menu has some creative ideas and the presentation of the food is quite nice but the taste falls behind, so I don't think I'll be re-visiting anytime soon. An interesting thing to note about Aoyama is that there are bells at each table which you can ring for your server to come. Otherwise you are left alone. This is supposedly the method all S. Korean restaurants use but this is the first time I've encountered it.